Angry Koala Gear: MUPPETS! MARVEL! OMNIBUS! Set the music! Set the lights! Jim Henson’s beloved creations are taking the stage at Marvel with The Muppets Omnibus Hardcover! Fan favorite writer Roger Langridge’s award-winning comic adventures of Kermit the Frog, Miss Piggy, Fozzy Bear, and all your favorite felt friends are finally collected in this oversized hardcover collection that’s as massive as it is hilarious! Collecting The Muppet Show, The Muppet Show Comic Book: The Treasure of Peg-Leg Wilson, The Muppet Show Comic Book, and The Muppets, no fan can afford to miss this essential piece of Muppet Mastery! 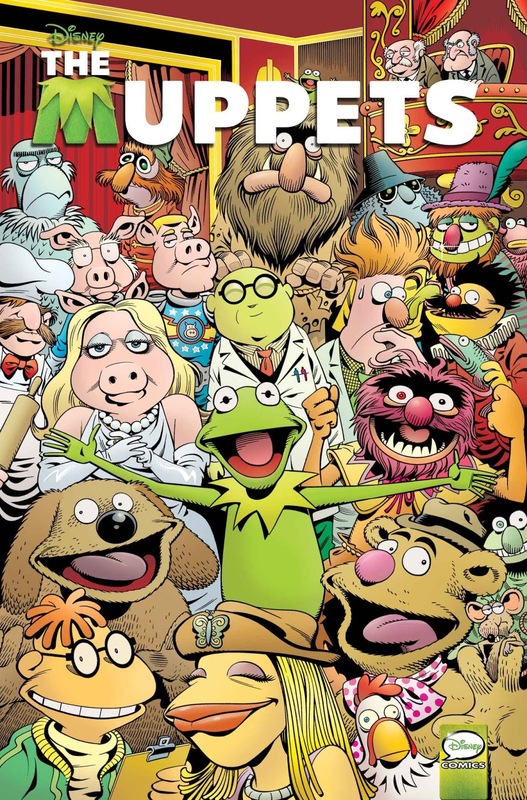 "I'm extremely proud of the work I did on the Muppet Show comic books and thrilled to hear that they'll be available soon in this long-lasting format,” said Langridge. “This is one of those rare cases where corporate imperatives neatly intersected with a cartoonist's own interests and passions, and I'm pleasantly surprised to hear that Marvel thought my efforts were worth commemorating with such a prestigious edition." Explore every corner of the Muppet Universe, from the broiling labs of Bunsen and Beaker to the DEEP reaches of the galaxy with Piiiigs In Spaaace, in a Muppet experience like no other. And of course, no Muppet production would be complete without Kermit and the Glam Ham herself, Miss Piggy! Strap in for a knee-slapping joy ride that celebrates the best of what the Muppets and comics have to offer with The Muppets Omnibus Hardcover!